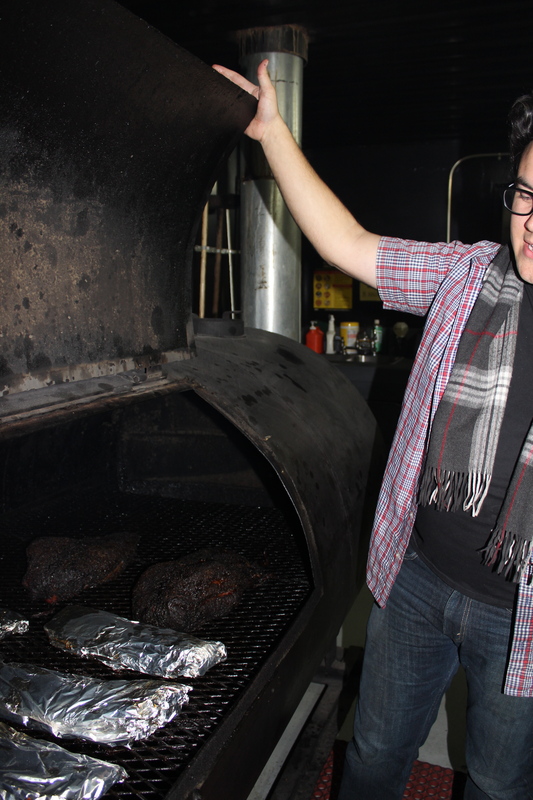 This is Dan; he got that smoker from Austin’s favorite BBQ guru, Aaron Franklin of Franklin’s Barbecue. Dan meant to bring Texas style brisket to NYC, he even hauled a bunch of post oak wood back with him! 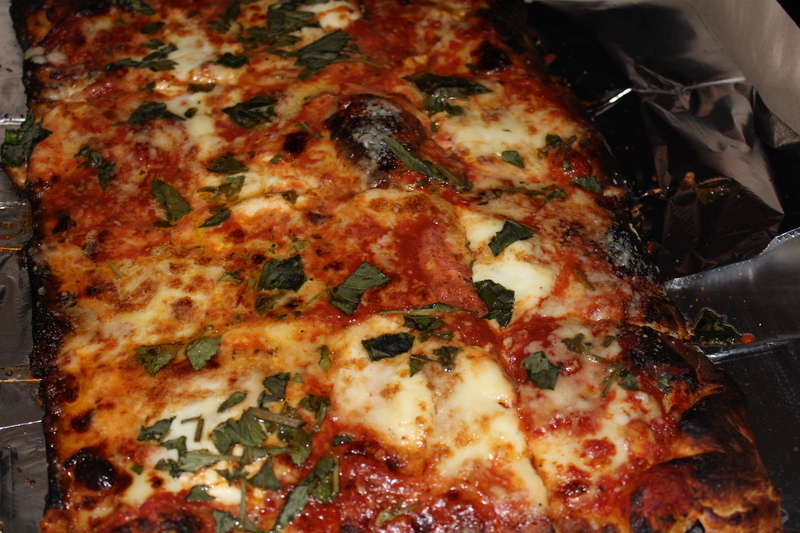 Pretty awesome pizza from Di Fara Pizza. 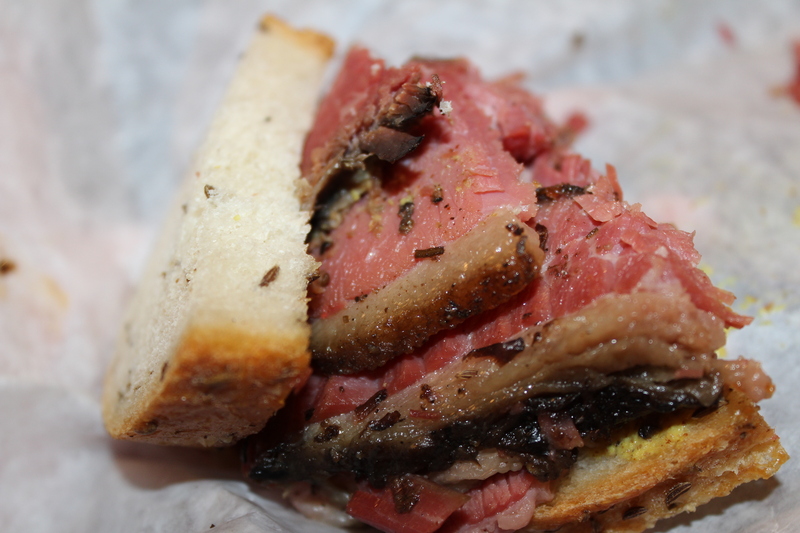 One of the best things we ate; an authentic pastrami sandwich from Mile End Delicatessen. 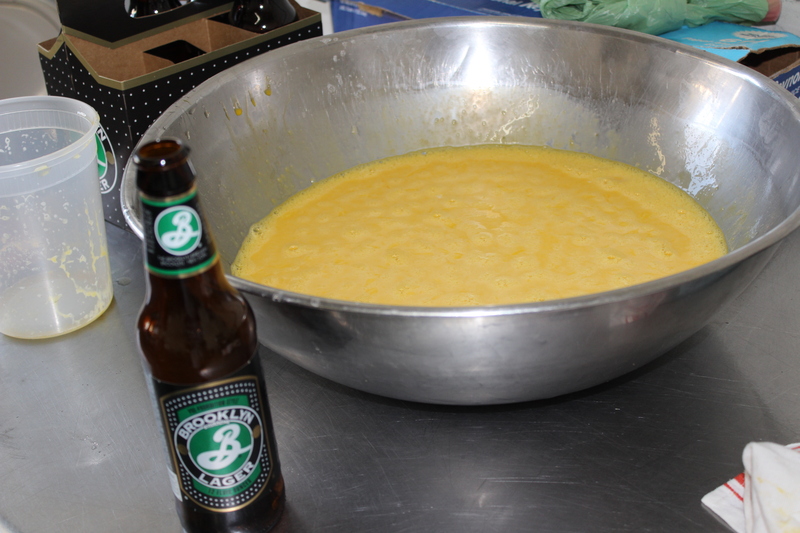 Marinating our egg yolks in beer for the Brooklyn Lager Eggnog. 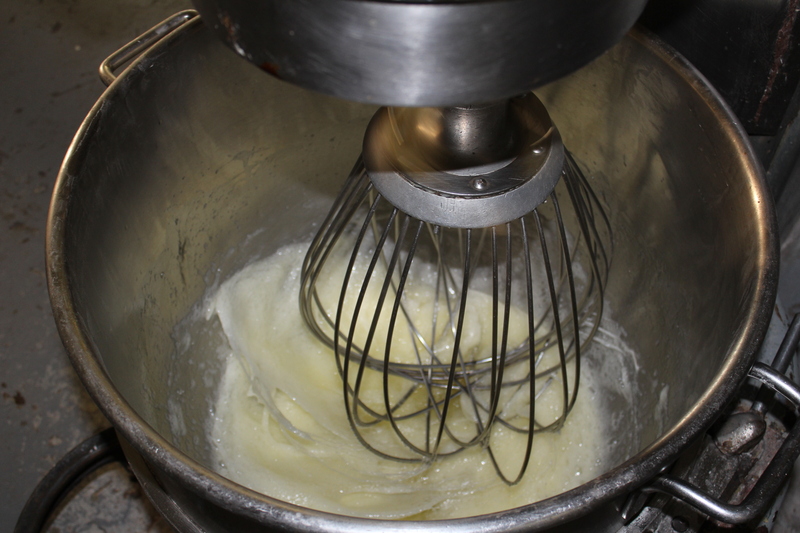 Turning our egg whites into peaks. This mixer was pretty big. 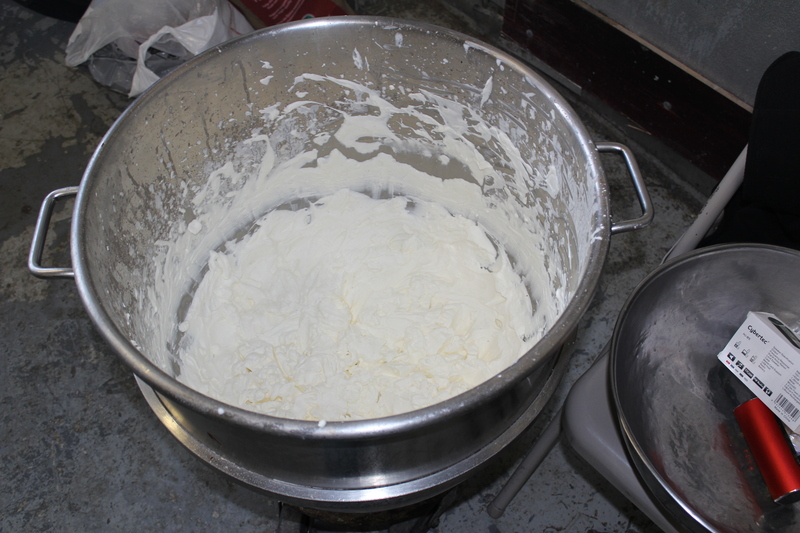 Heavy cream turned into whipped cream for our Beer Eggnog. 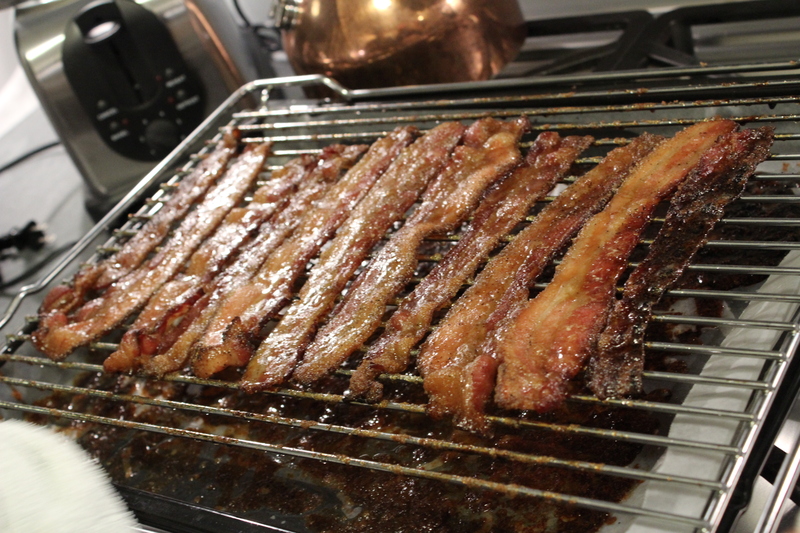 Brooklyn Winter Ale Candied Bacon for the Beer Eggnog. 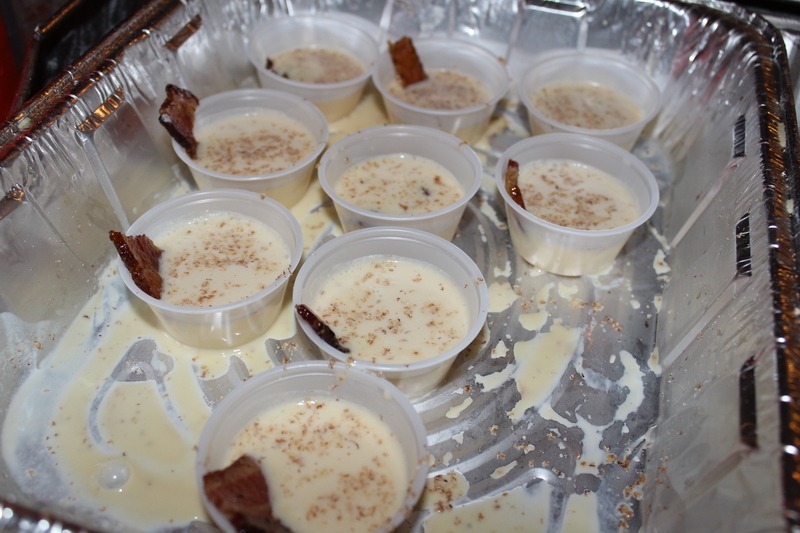 Dutch Lovin’ Beer Eggnog with Candied Bacon. 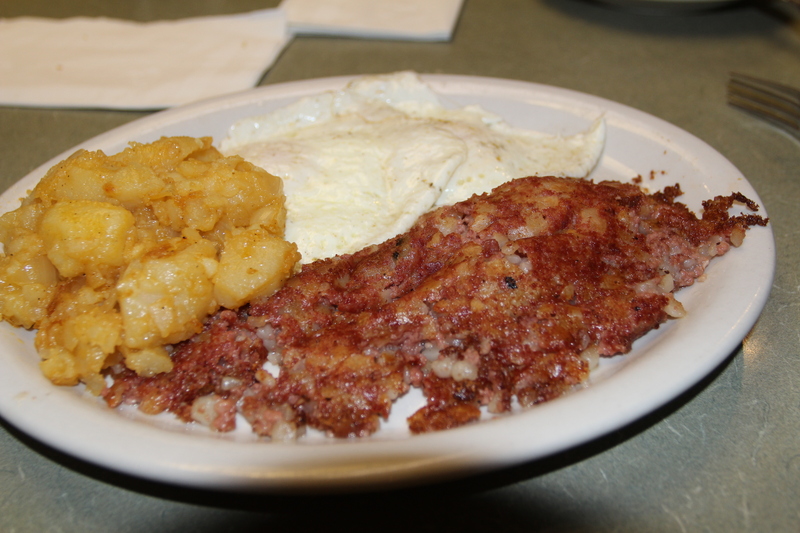 Our take on eggs and bacon. 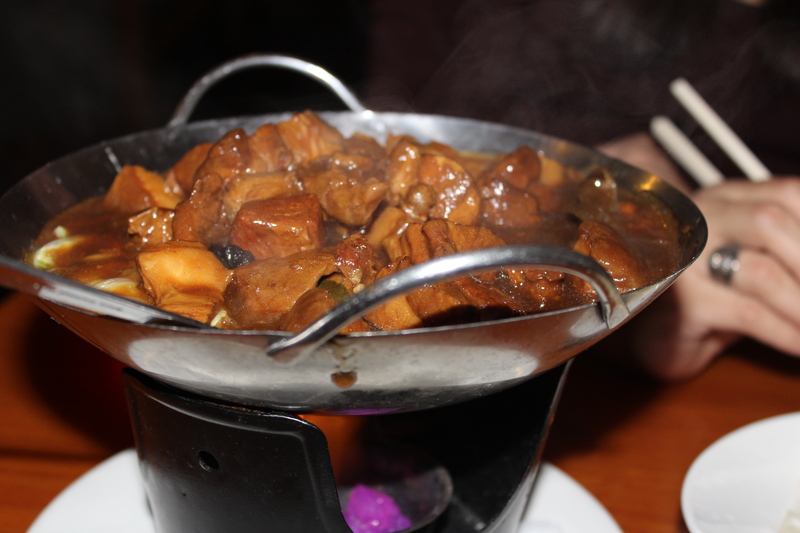 Pork flame pot in Chinatown, NYC. It was so hot the flame looks purple. I don’t know the name of this place, because it wasn’t in English. 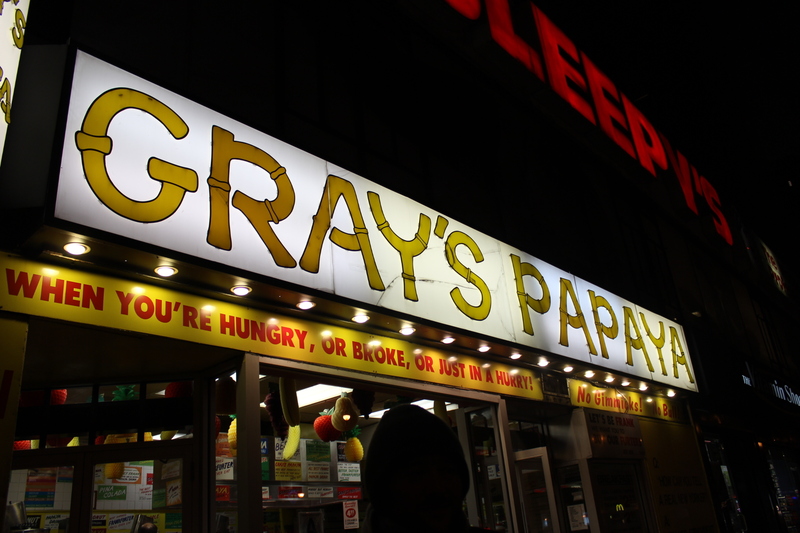 It was somewhere in the Chinatown in Manhattan. 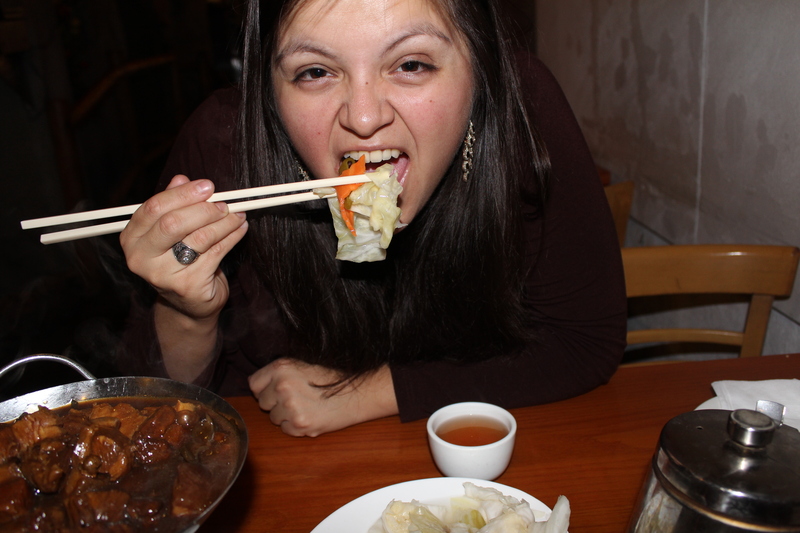 Asian Pickled Cabbage, somewhere in the Chinatown in Manhattan. 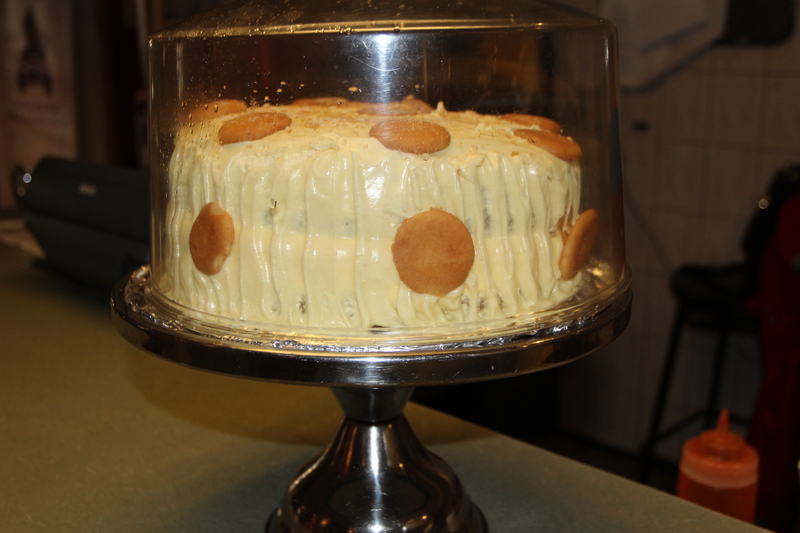 Banana Pudding Cake at Sylvia’s, Queen of Soul Food. I will make a cake like this soon, it was amazing. 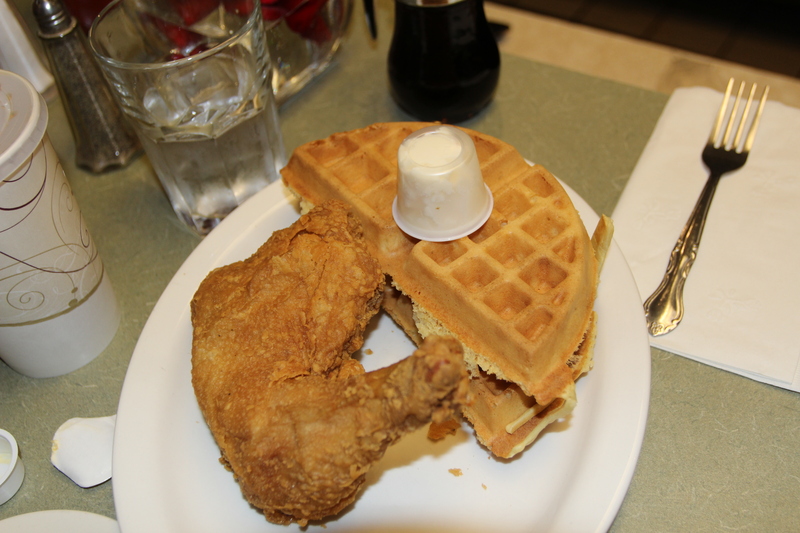 Fried Chicken and Waffles at Sylvia’s, Queen of Soul Food. 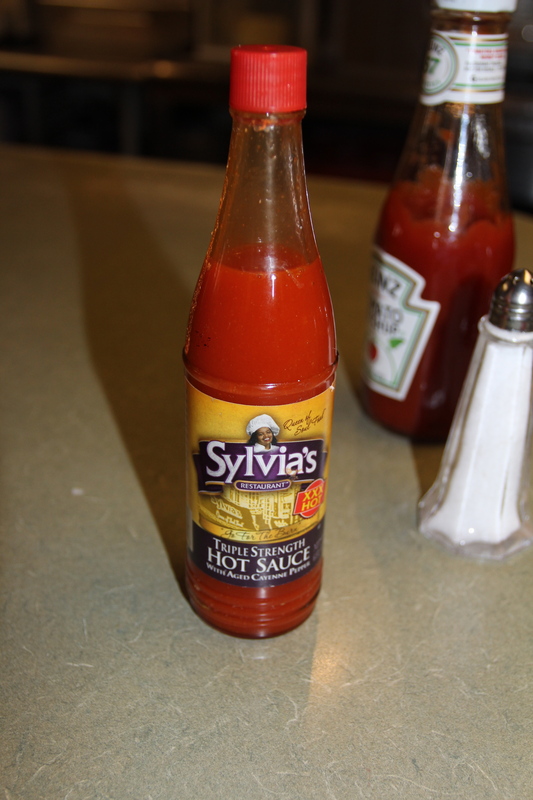 Corned Beef Hash, so delicious, from Sylvia’s, Queen of Soul Food. Don’t mind the shadow. 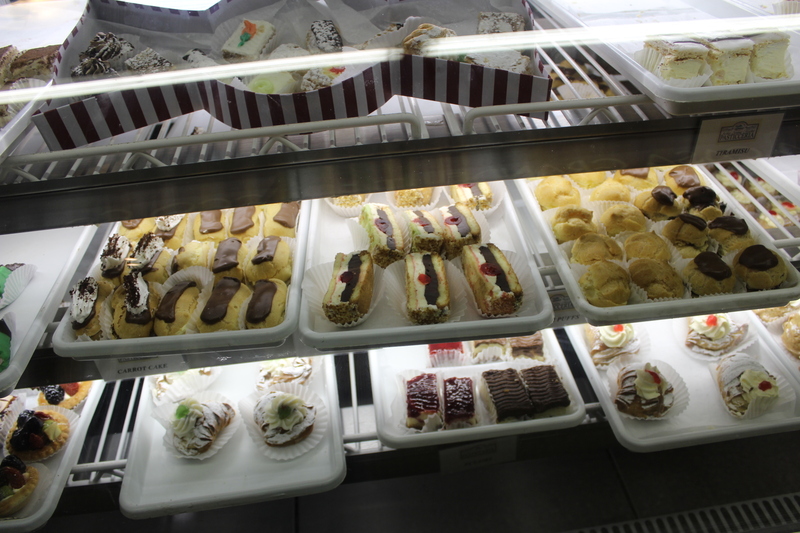 I could have taken another photo, but that would have meant waiting just that much longer to eat. 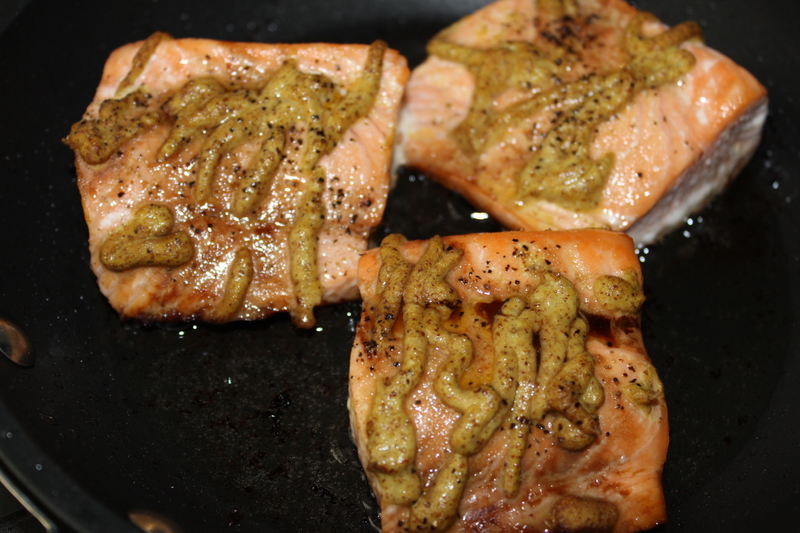 Cooked up some of that Salmon the Swedes gave us; we had it for brunch before we left the condo to see the tree at the Rockefeller Plaza. 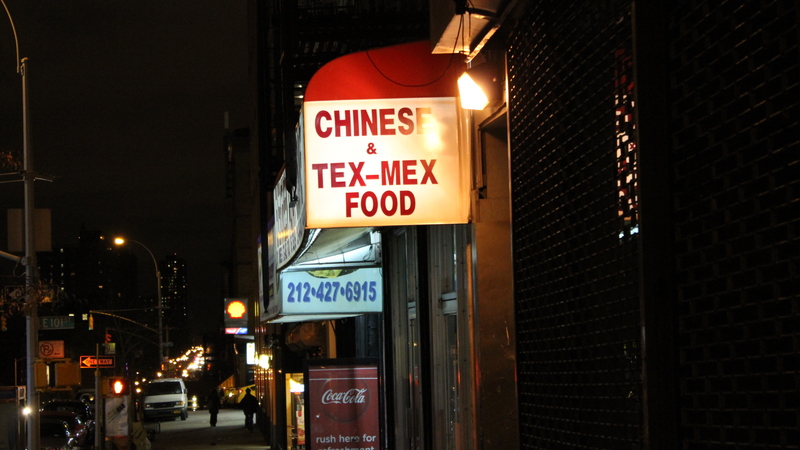 Interesting combination restaurant. We didn’t actually eat there, but we thought it was funny. We were somewhere in Harlem. 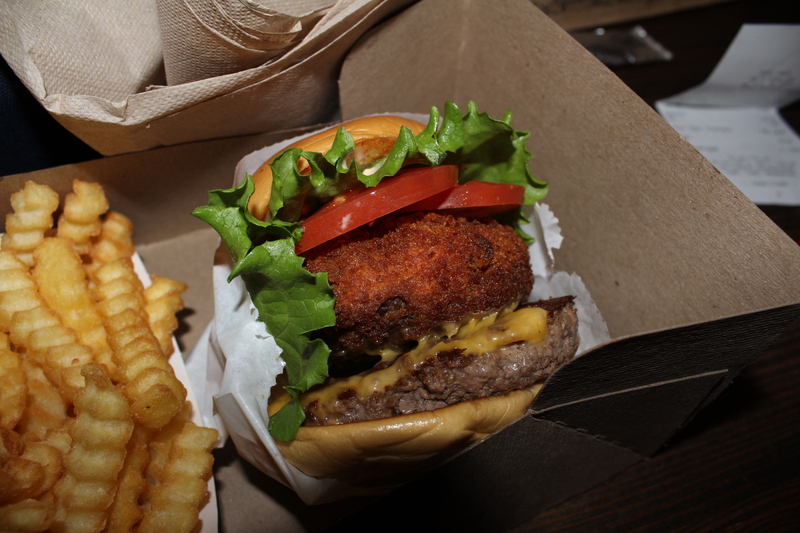 Shake Shack, my burger was amazing! That beautiful friedness is a portabella mushroom, stuffed with cheese, battered and fried. I hope you’re jealous. I saw this cool poster at a coffee shop. 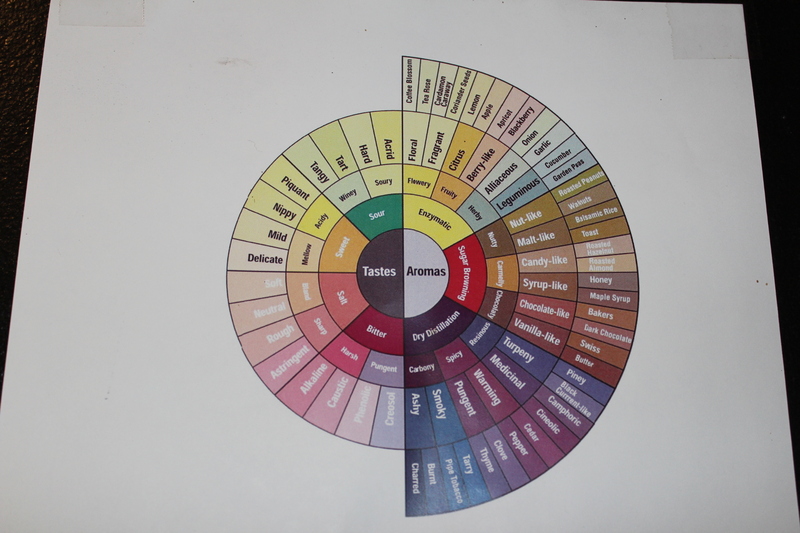 It splits up tastes and aromas. So cool! 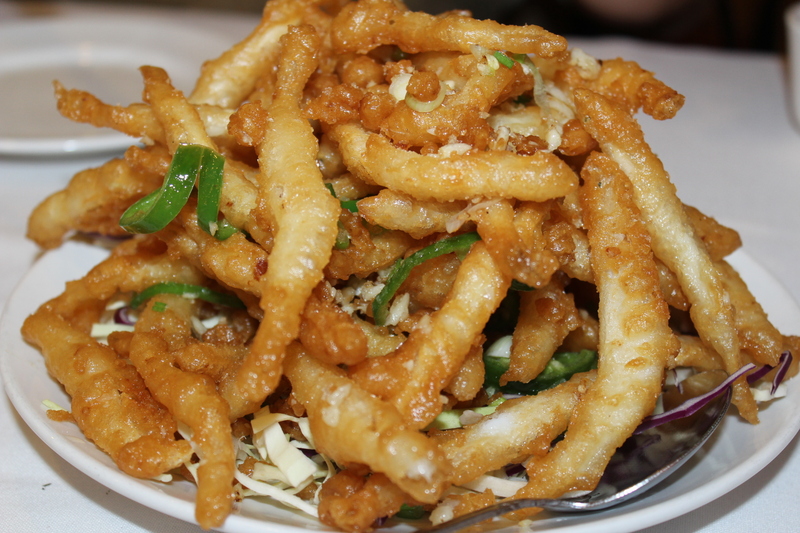 Asian Fried Calamari at East Lake Seafood Restaurant in Flushing, Queens. 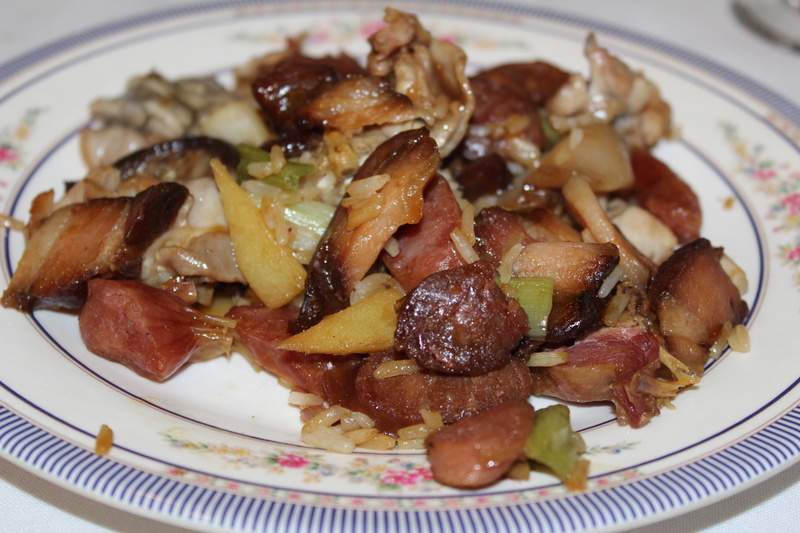 Frog and Preserved Meat Casserole with Rice at East Lake Seafood Restaurant in Flushing, Queens. 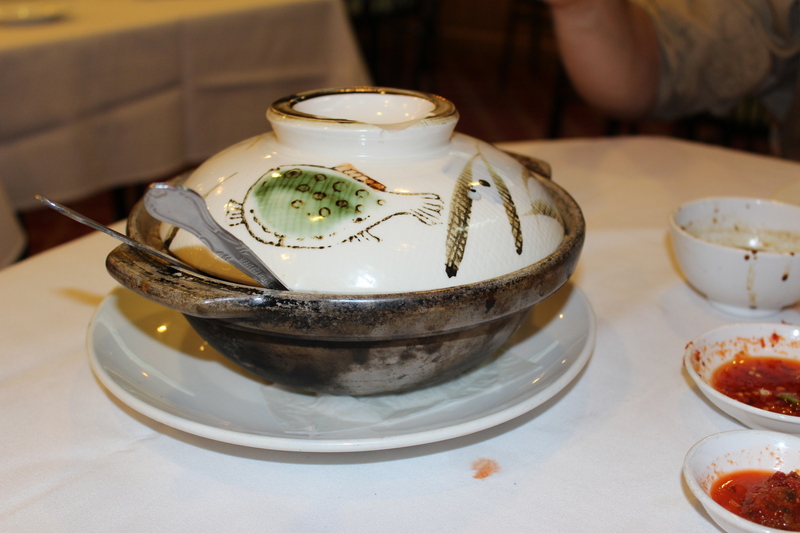 The cool little dish our rice came in at the East Lake Seafood Restaurant in Flushing, Queens. 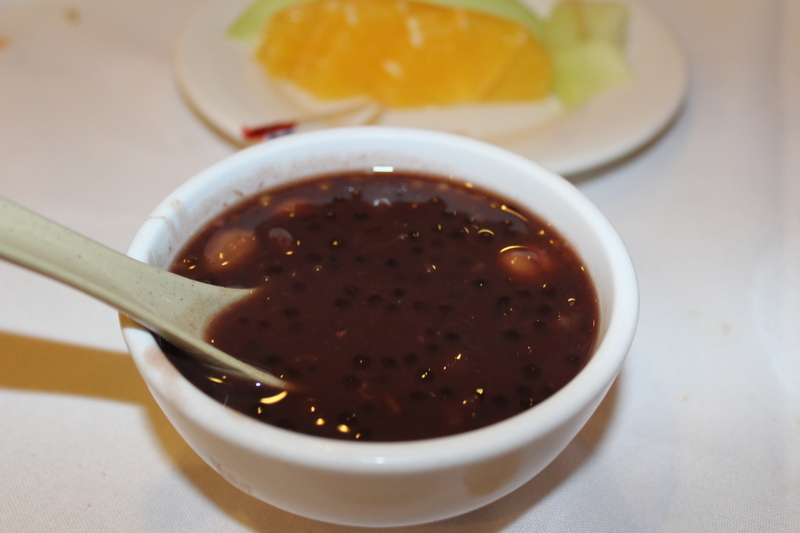 Black Bean Tapioca Dessert, so yummy! 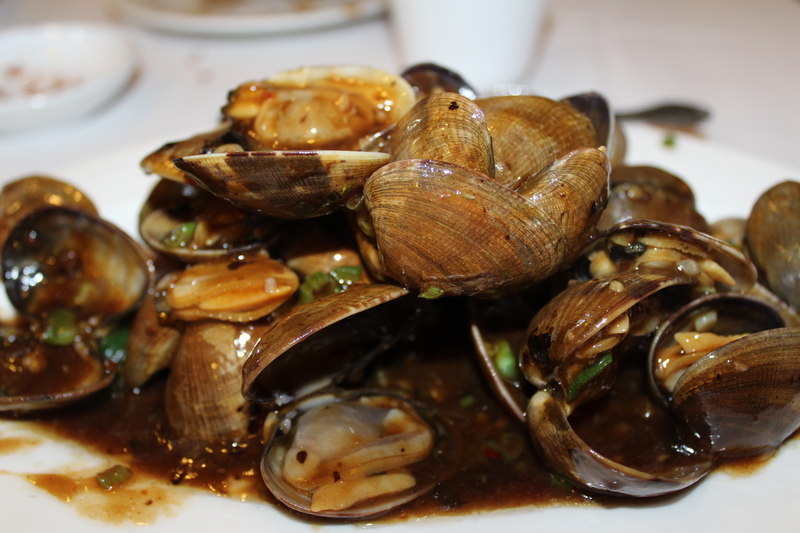 At the East Lake Seafood Restaurant in Flushing, Queens. 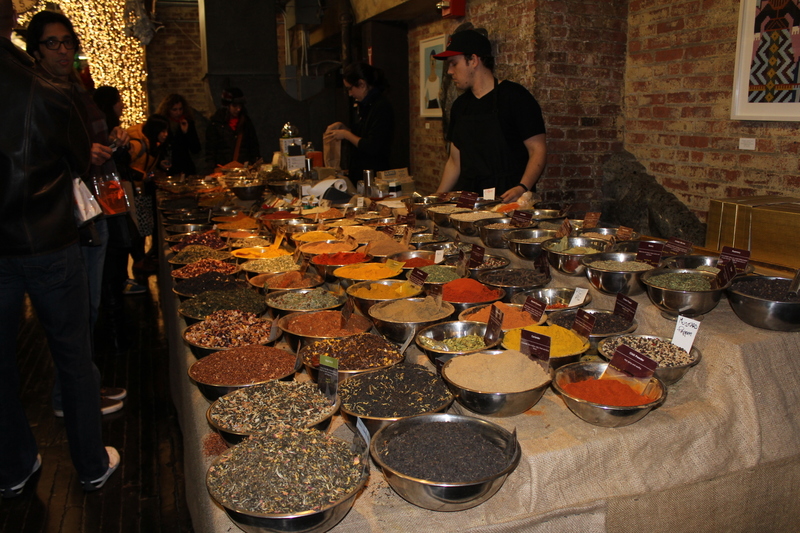 Many many spices at the Chelsea Market in Manhattan. 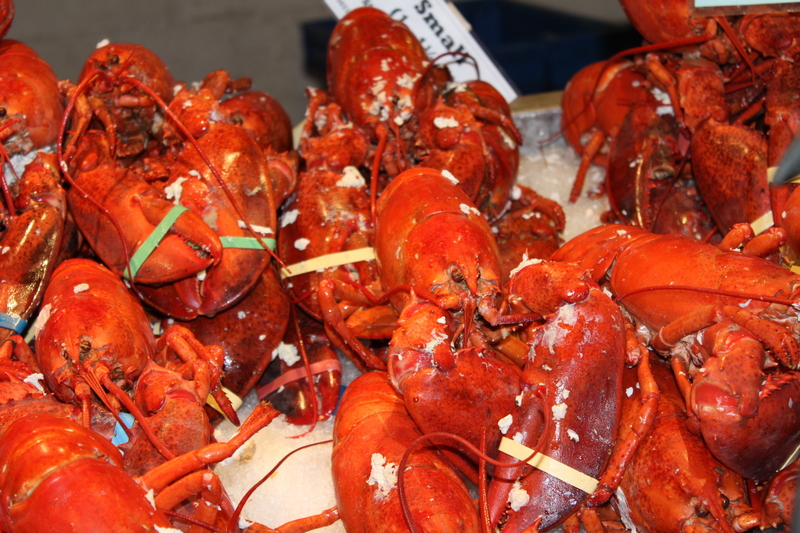 Fresh and very tasty Lobsters at the Chelsea Market in Manhattan. 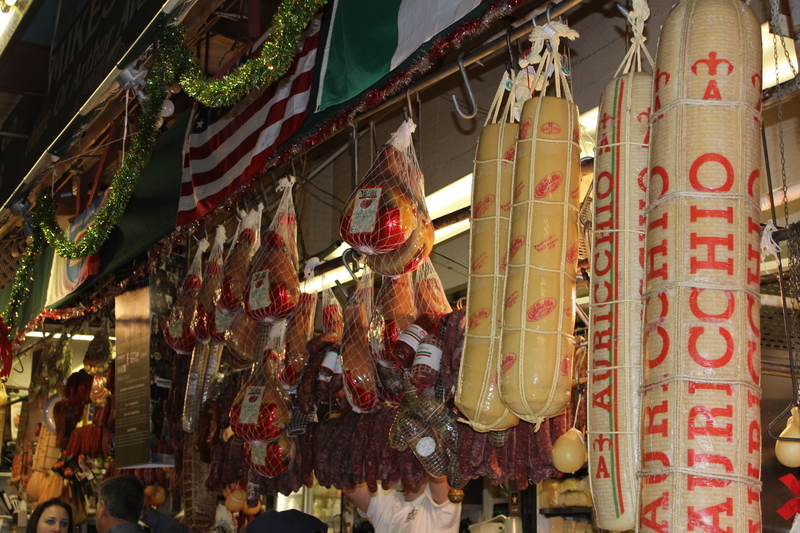 Arthur Avenue Retail Market in Little Italy in the Bronx, NY. 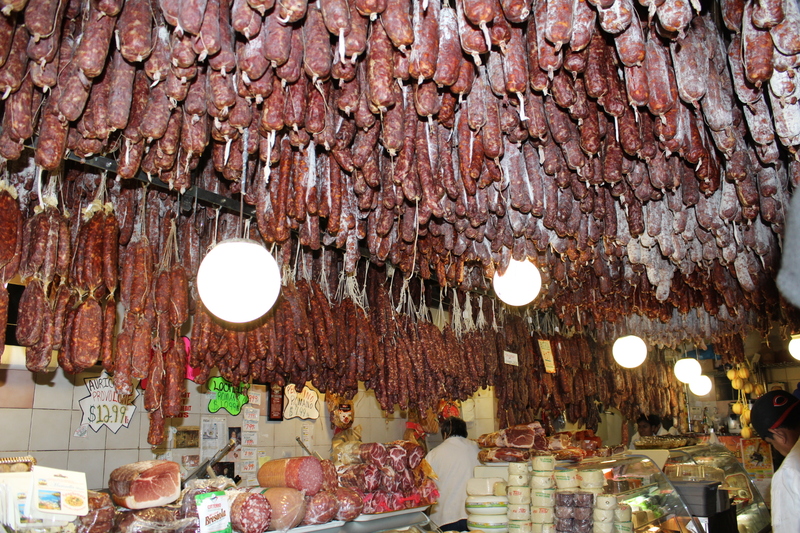 So much sausage and so very cool. 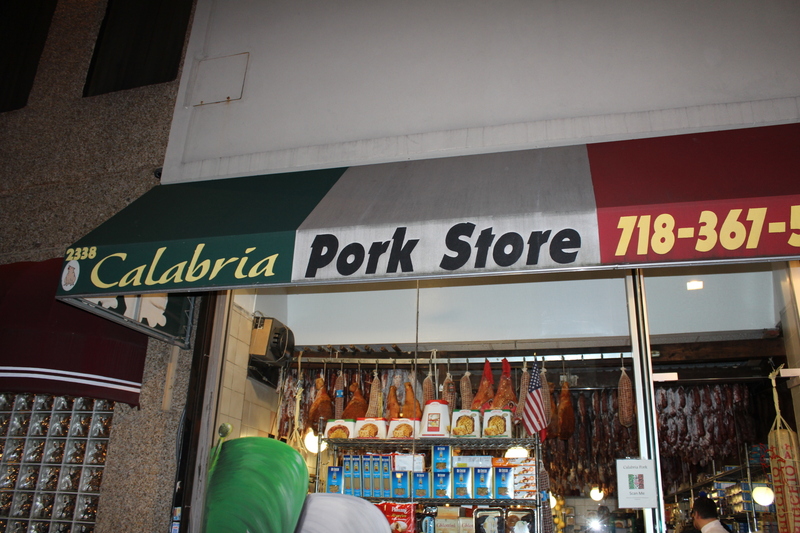 Calabria Pork Store in Little Italy. I can really let these photos speak for themselves. 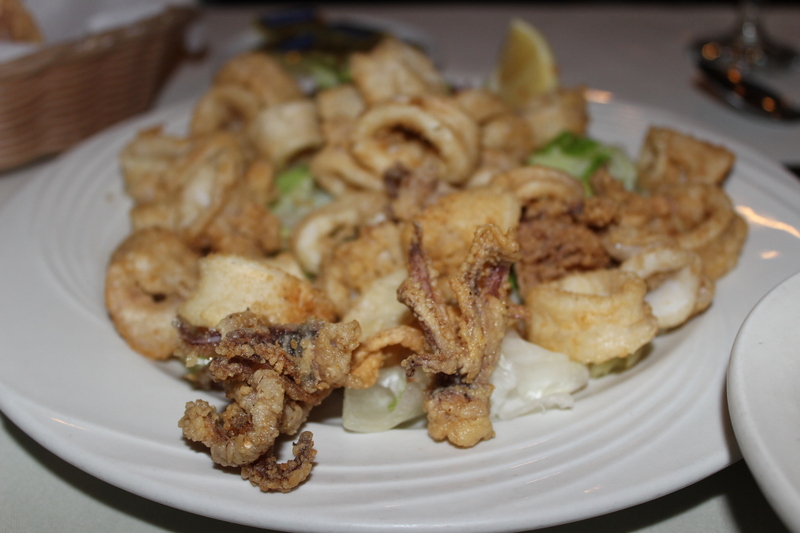 Calamari from Emilia’s Italian Restaurant in Little Italy, the Bronx, NY. 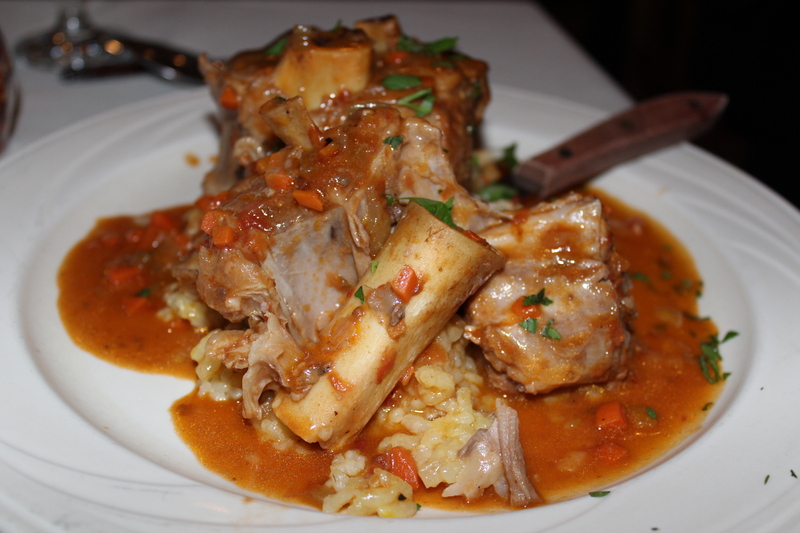 Best Osso Buco I have ever had in my life, hands down. 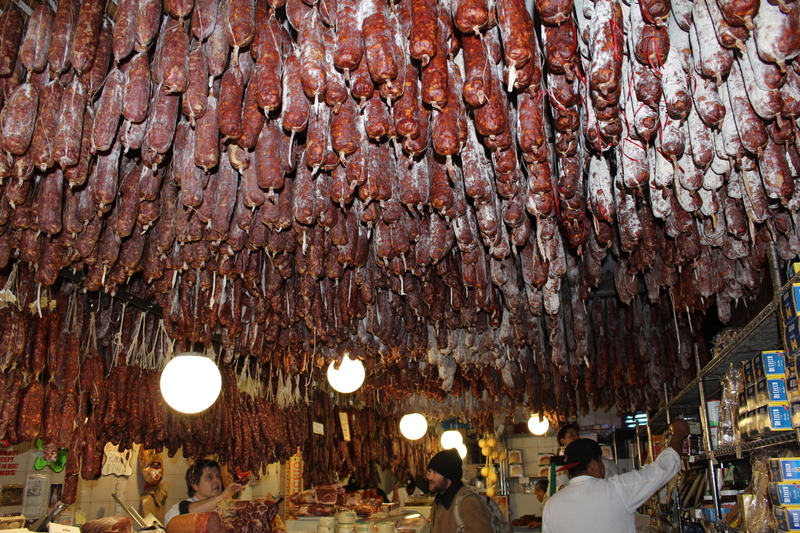 Emilia’s Restaurant in Little Italy, the Bronx, NY. 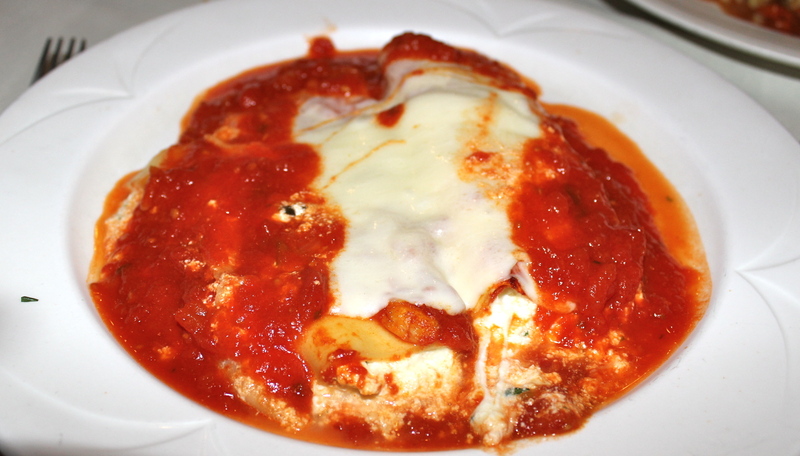 Homemade Manicotti and so absolutely amazing, the best thing we ate that day. 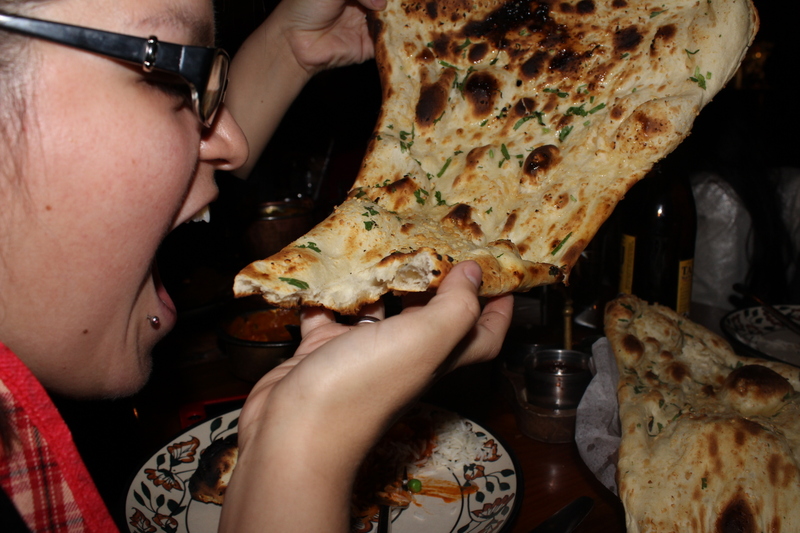 The biggest piece of naan ever. 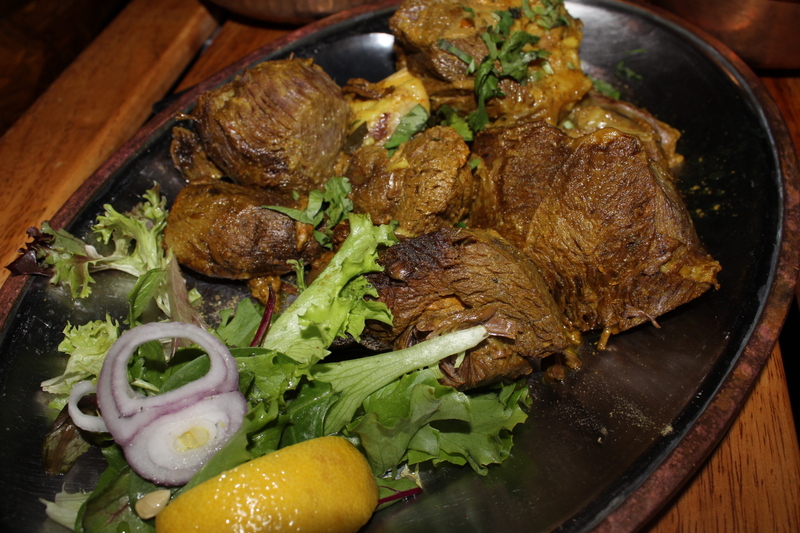 Sikandari Raan: Tandoori leg of lamb delicately marinated in rum and spices. Great way to end our night. At this point, we had a few drinks. I apologize for not getting a photo of the pizza. 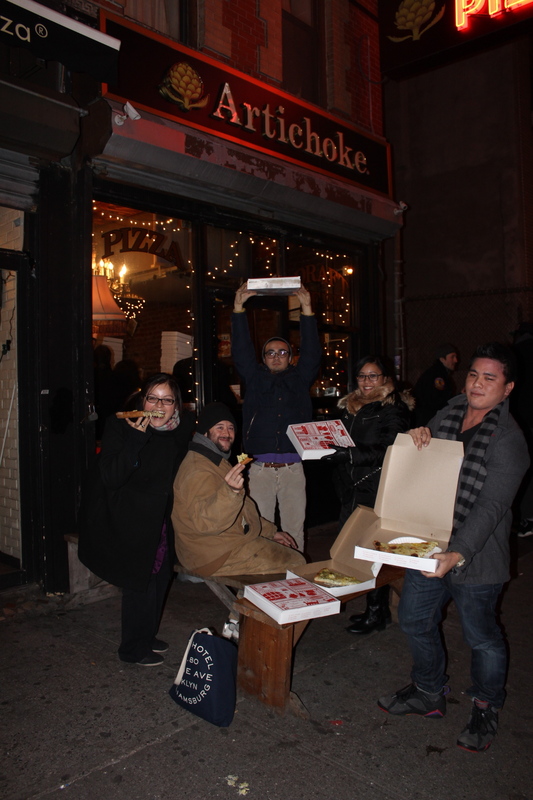 Trust me, Artichoke Pizza, had the best pizza I have ever eaten. I will attempt to duplicate it. That is all. 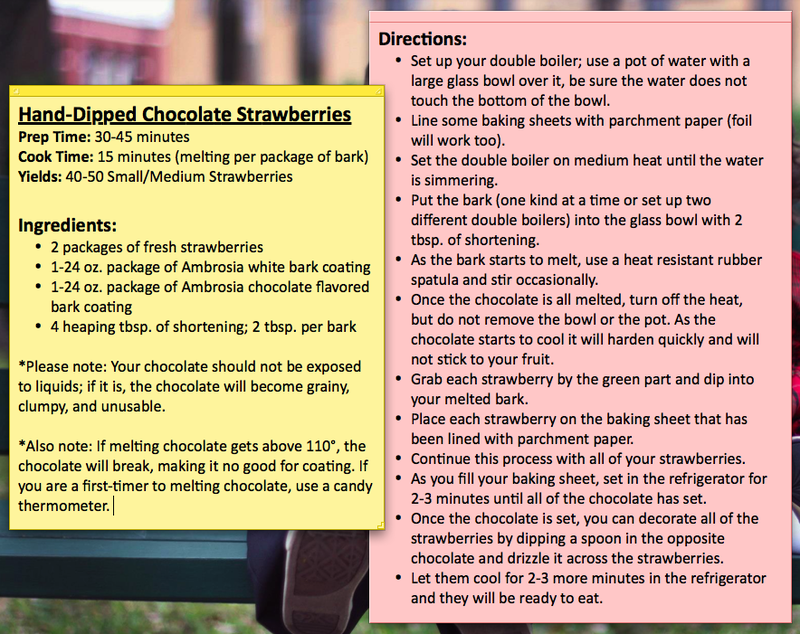 It’s that time of year again, when you walk through the grocery store and there is a station for fresh hand-dipped chocolate strawberries. 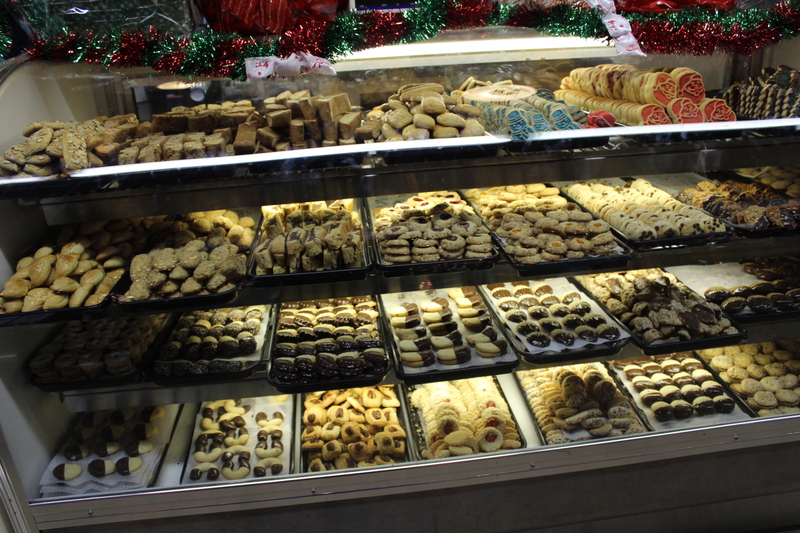 They smell great, they look great, you can’t help yourself because you know they are going to be amazing. However amazing they are, they can get quite expensive! Let’s face it, 4 might not be enough, especially if you have to share. The steps of making these hand-dipped, decadent goodies are very simple, much less expensive than purchasing some, and can be a treat to more than 2 people. 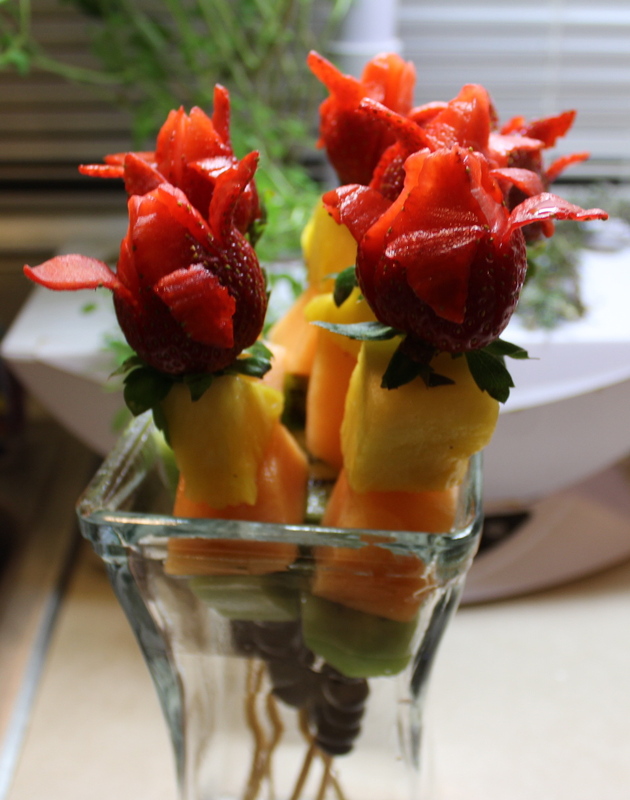 These are great for parties or work well as gifts for family and friends. I also like to do these around Mother’s Day, as Moms are usually suckers for chocolate and strawberries. 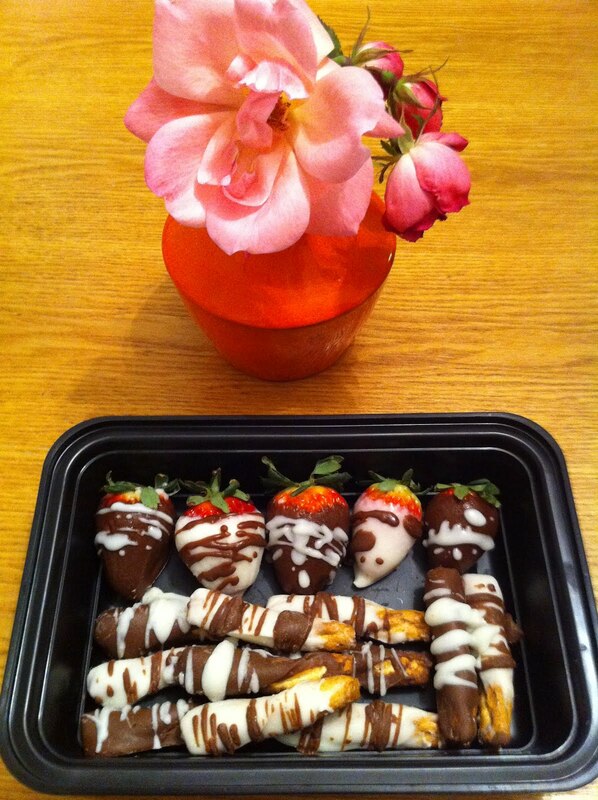 The upside of knowing how to do this is that you can have them year-round and not just for Valentine’s Day or other special occasions. As pictured, you can do this same thing with pretzels. I prefer to use honey wheat pretzels. A similar version of this was originally posted by Sous Me Alchemy on 2/19/2012.